When you step into our gym year-round with the same will-to-win you bring every single game day, you’ll realize what you can become. 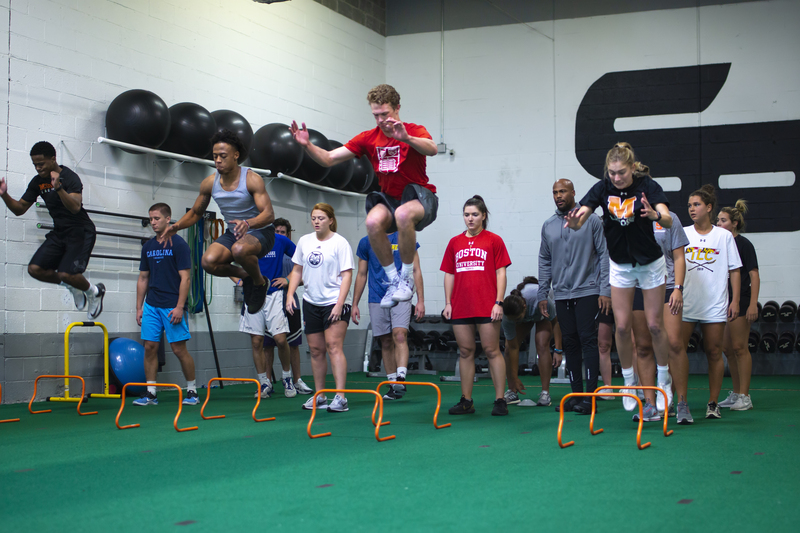 Our sports conditioning and athletic development training program, GAMEDAY, is backed by 20+ years of combined training and coaching experience from the Greater Baltimore area’s top experts with an unsurpassable track-record of results. We hold the trophy in the Greater Baltimore area for producing the most D1 and professional level athletes from grade-school to contract signing. Maximize your time in the game by reducing your chances of getting injured and improving your body’s mechanics all year around — not just the off-season. Learn how to stay motivated, get stronger, move faster, keep your body healthy and move smarter your opponents with every move you make. The world doesn’t remember those who forget to chase their dreams. If you have a vision for your story, we can help you make it happen. Transparent pricing with no surprise fees. Attend regular evening and weekend training sessions. Flexible payment options based on how often you attend. Passionate experts with unmatched accolades.